MyFlorist - where the passion can be seen everyday in unsurpassed customer service and breathtaking floral arrangements delivered in Vienna VA. MyFlorist strives to consistently exceed customers’ expectations. From flower order to flower delivery, you can rest assured that a floral arrangement from MyFlorist Vienna VA will always reflect well on you. In July of 2005, CNN/Money and Money magazine ranked Vienna fourth on its list of the 100 best places to live in the United States. In addition to excellent public schools, its assets include a downtown with many small businesses, a Washington Metrorail station with large parking garages (the western terminus of the Orange Line) just south of the city, and a portion of the Washington & Old Dominion Railroad Regional Park hiker/biker trail cutting through the center of the town. The Tysons Corner Center and Tysons Corner Galleria developments are nearby, as is Wolf Trap National Park for the Performing Arts. With one of Vienna VA's largest collections of fresh flowers, and designers who are inspired to impress, MyFlorist guarantees your order will receive personal attention every time. Turn your expressions of love, happiness, appreciation, sympathy and more into lasting floral impressions. Order online or call 1-888-255-9500 to speak with a Floral Consultant 24/7. 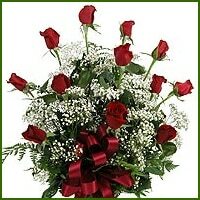 We offer same day flower delivery to Vienna VA, for orders placed before noon, ET. We import flowers from around the world, and buy specialty products from local growers. We carry traditional items, many varieties of roses, plants and dish gardens, gourmet and fruit gift baskets, and exotic and tropical flowers rarely seen in VA flower shops! Founded by Brad and Penha Parker in 1989, we are committed to complete customer satisfaction. We cater to the busy schedules of Vienna VA area residents, and “Yes” is our favorite word. All our products come with a 100% satisfaction guarantee. 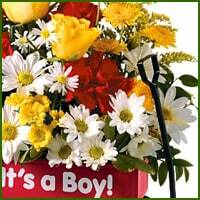 When you send from our florist, we are confident it is will always reflect well on you. Convenient ordering. You can order 24/7 online or by telephone, or walk into one of our stores during normal business hours. No matter how busy your lifestyle, MyFlorist & Exclusively Roses can accommodate your needs. We are located in Tysons Corner, and we deliver flowers twice daily to Vienna, all of Northern Virginia, Washington, DC, and Montgomery County, MD. Extended hours during busy times. During the busy weeks of Christmas, Valentine's Day, and Mother's Day we extend our store hours to make it more convenient for you to visit a florist in Vienna VA.